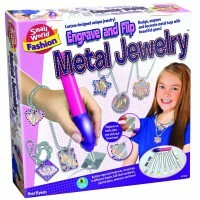 Bing up your own headphones with this girls favorite fashion craft by Alex. 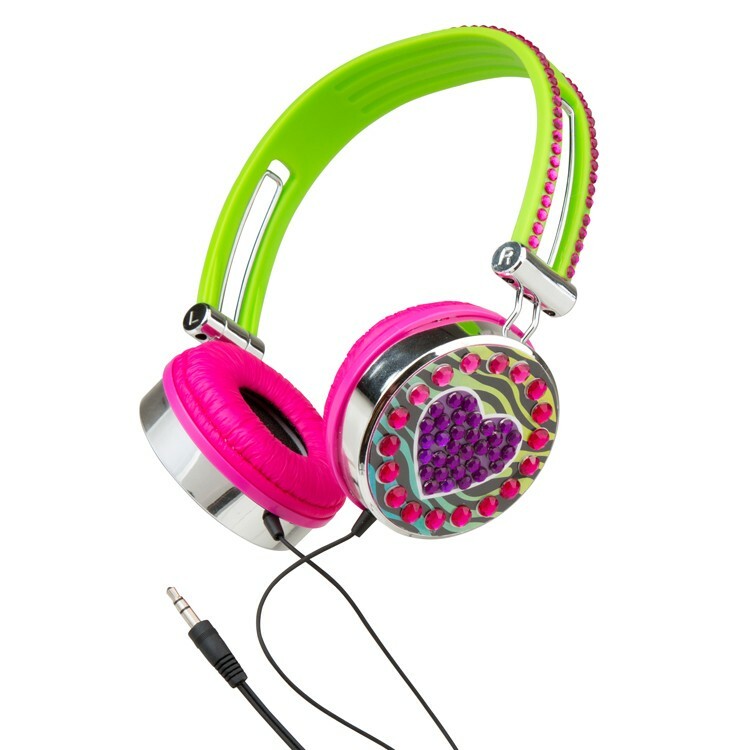 Listening to your favorite music in the headphones, crafted by yourself - that's style! 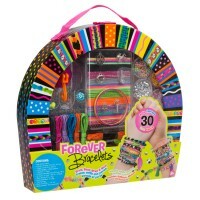 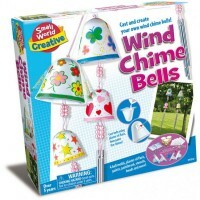 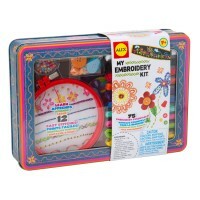 Decorate Your Headphones Girls Craft Kit is a really cool modern days high-tech craft for girls! 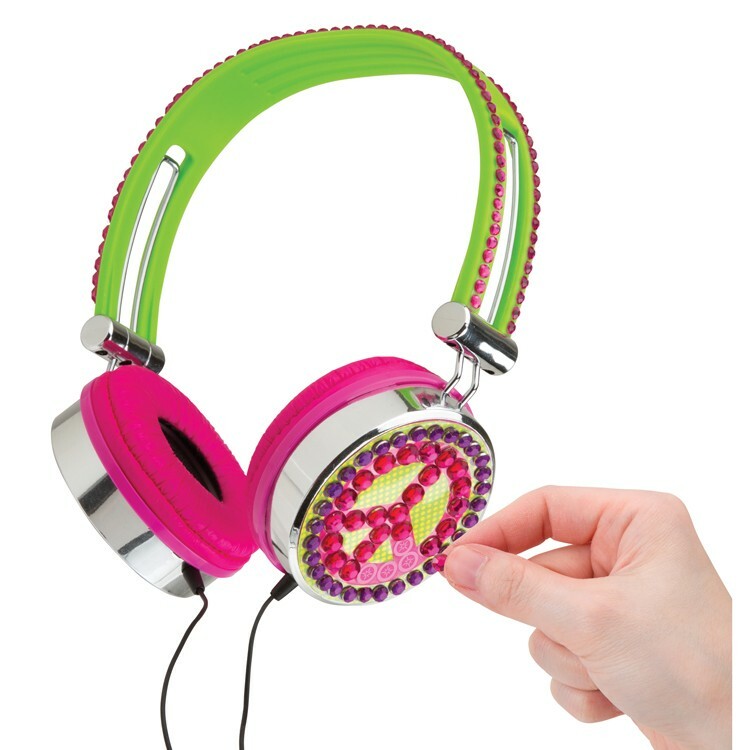 With this girls headphones decorating kit your young fashionista gets a chance to add sparkly touch to the music headphones. Choose your peace or heart sticker design, peace or heart, jewel the headphones and bling up the headband. 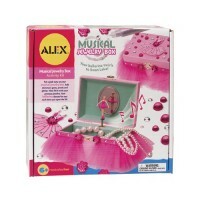 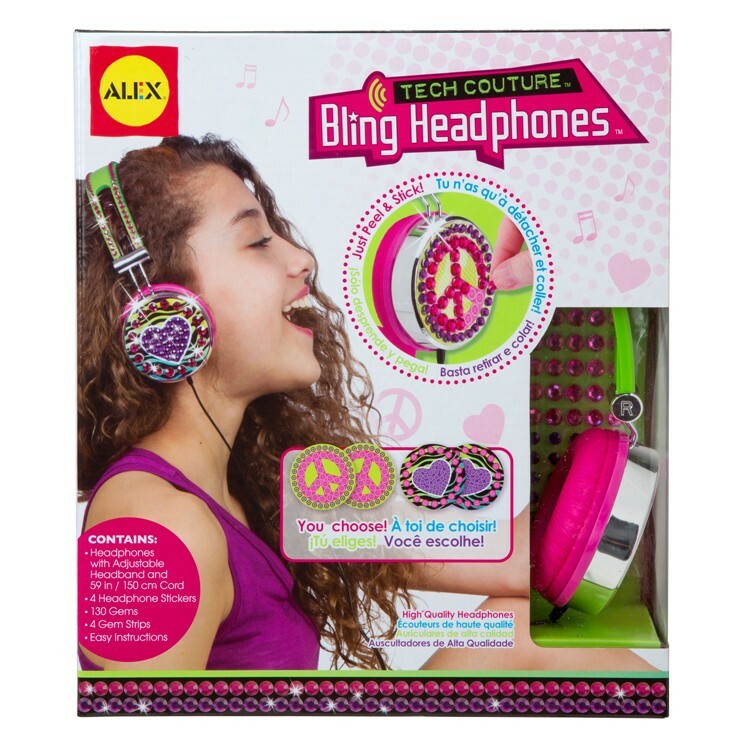 This Bling Headphones craft is fun, easy to do, and useful, too!i The high quality headphones from this Alex Toys' tech couture kit feature hot pink thick soft ear pads and adjustable bright lime green headband that will make music listening very comfortable. 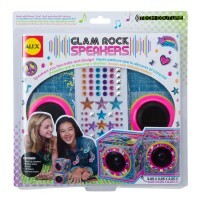 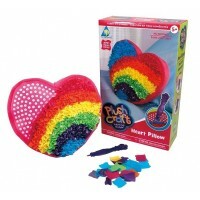 Decorate Your Headphones Girls Craft Kit from Educational Toys Planet includes a set of girls headphones with 59 inches long cord, 4 headphone stickers, 130 glittering gems, 4 gem strips, and craft instructions. 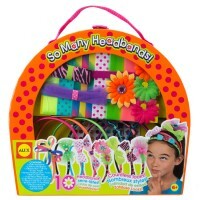 The finished headphones from this girls high-tech craft kit will work with your own iPhone, iPod, iPad or any other mp3 device. 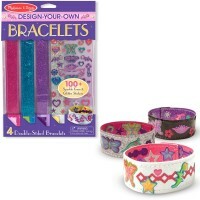 Dimensions of package 3" x 8.75" x 10"
Write your own review of Decorate Your Headphones Girls Craft Kit.